DriveNow members have access to over 700 BMW and MINI vehicles which can be found and reserved in the app, and driven by the minute, hour or day. All cars can be parked for free in any residents' or pay and display bay within the DriveNow Zone. Plus, everything's included in the cost and you only pay when you drive, so you can enjoy the freedom of a car without the hassle of ownership! There’s a one-off lifetime membership fee (currently £9.98)! with no ongoing monthly or annual membership fees. To join online, you will need your driver's licence and the payment card you want to use on your DriveNow account. It usually takes between 24-48 hours for your account to be activated. If you hold a British driving licence and you're a resident in the UK, we need to review your details and you may be asked to email documents for us to further verify your identity. You'll receive an email when your account has been activated or if we need more information. Then just download the DriveNow app and you're good to go. If you don't hold a British driving licence and/or are not a UK resident, you'll need to upload a few photos in the DriveNow app after registering so we can verify your identity. This could include proof of address, payment card, selfie and driving licence - simply follow the instructions in the app. As soon as we've verified your uploaded documents, we'll activate your DriveNow account and you'll be able to use the service. Note: If you can't supply proof of a current UK residential address, you'll need to come in to the DriveNow UK office so we can verify your account. Join today! Register online now. Find the nearest car using the DriveNow app, which will display all the available vehicles you can choose from in the DriveNow Zone, with their details. Use the car filter to choose a particular model, fuel or charge level, price etc. 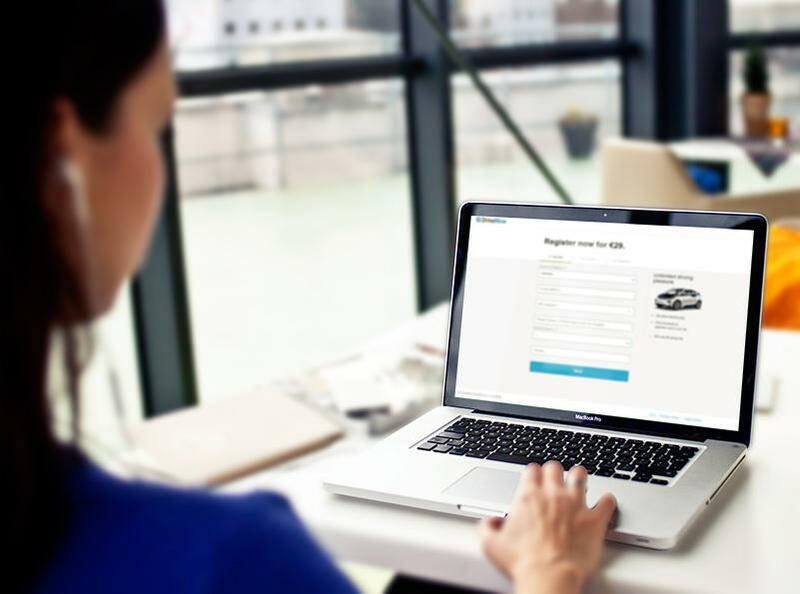 Reserve a car for free up to 15 minutes before you need it. You can extend your reservation for up to 8 hours for 19p per minute. If you want, you can pre-plan your journey. Enter your destination, book an hourly or daily package, reduce your excess and choose to use your business or personal account. Green: the car is available to rent. Red: someone else is currently renting the car. All our cars can be unlocked and locked using the DriveNow app. Simply tap the ‘Unlock’ button within 150m of your reserved car. Open any door to the car and enter your PIN in the app (or use Touch ID or Fingerprint). Then simply get in, press the start/stop button and off you go! Everything can be done in the app, but if you haven't reserved the car in the app, you'll need to unlock it with your customer card and the in-car display will guide you through the log in process step-by-step after you've entered your PIN in car. Park and get out of the car. Choose 'Park & Keep' in the app which will automatically lock the car for you and the reader light on the windscreen will turn red. Your rental will continue but you’ll be charged a flat parking rate of 19p/min. If you decide you no longer need the car and want to finish your rental, choose 'End Rental' in the app, even if you're away from the car or it's on 'Park & Keep' mode. ‘Park & Keep’ can be used inside and outside the DriveNow Zone and is free of charge between 10pm and 7am, Sunday to Thursday. Our full parking rules can be found here. What about fuel and charging? Fuel and charge is included at DriveNow and all our cars come with a card for filling up and charging. When the fuel level falls below 25% and you refuel the car, your DriveNow account will be credited with 20 bonus minutes. To receive these bonus minutes, the fuel level must be over 90% at the end of your rental. The same applies for charging the all-electric BMW i3. You won't be able to end your rental outside the DriveNow Zone so will need to select 'Park & Keep' in the app to lock the car. If the parking bay requires a parking ticket, you'll need to purchase one as you would with your own vehicle. You can use our BMW and MINI cars in 11 other European cities DriveNow is in when you travel abroad! Just accept the terms and conditions in the app when you enter the specific country and off you go! With DriveNow you don’t need to return the car to exactly where you picked it up from. 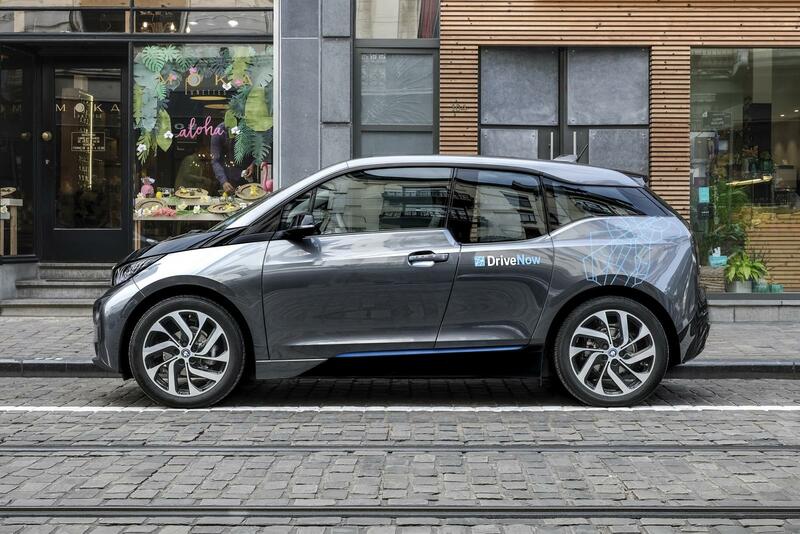 Just drop it off for free in virtually any on-street public parking bay within the DriveNow Zone, such as residents’ and pay and display bays. You don't need to pay and display a parking ticket in the DriveNow Zone - we’ve got it covered! Westminster has different parking rules for car sharing and you cannot end your rental or use Park & Keep in bays that are ‘Resident Permit Holders Only’ at any time. This includes some ‘Dual-use bays’ where parking is for ‘Resident Permit Holders Only’ at certain times - check out our London parking guidelines. Swipe 'End Rental' in the app which will confirm that your rental has finished, and wait until the light on the window reader turns green to confirm the end of the rental. 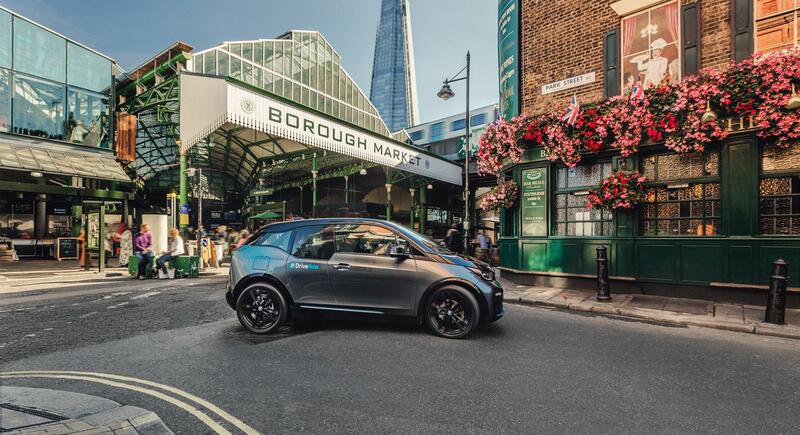 The DriveNow Zone currently covers the London boroughs of Westminster, Tower Hamlets, Southwark, Barnet, Brent, Islington, Hackney, Haringey and southern Waltham Forest. You can still drive outside of these areas though! Just start and end your rental within the DriveNow Zone. We also have dedicated bays at London City Airport and Stratford International Car Park where you can pick up and drop off our cars. 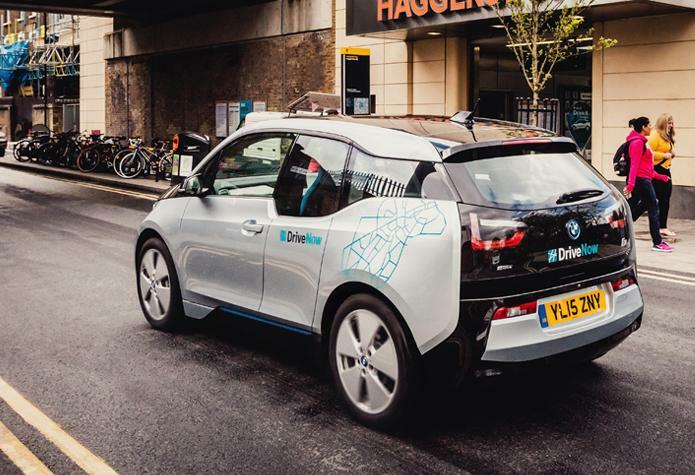 You can leave our cars in virtually any on-street public parking space within the DriveNow Zone free of charge, such as residents’ and pay and display bays. This does not include private car parks, estate parking and bays with specific regulations such as business permit only spaces, disabled spaces, no-parking zones or designated car club spaces. The Westminster Zone has slightly different parking regulations, read more here. You can pick up and drop off a DriveNow car in the dedicated DriveNow bays at London City Airport, and you won't have to pay for parking! Get all your bags easily to London City Airport, or next time you land, reserve a car using the DriveNow app while waiting at baggage claim. Then jump in your reserved car and head home fresh and relaxed. The DriveNow service fee at London City Airport is £2.50. Additional restrictions apply in certain areas within the DriveNow Zone. For instance, cars are not allowed to be dropped off at Emirates Stadium or White Hart Lane on match days. Other locations where you are not able to end your rental are highlighted in red on the map in the DriveNow app. You will be notified of these restrictions on the in-car display if you try to end your rental here. Register and get mobile with DriveNow!